Are Your Hips Properly Aligned? Go see a chiropractor and have x-rays taken of your low back. These x-rays will show both an anatomical and a functional leg length discrepancy if one or both are present. This information will help the doctor narrow down what needs to be done to correct the problem. – Hip joint: when the hips are misaligned, more stress can be added to the side that has dropped which can decreased the joint space of that hip causing pain. – Low back: misalignment of the hips or pelvis is often associated with hyperextension of the low back, tightness in the muscles of the low back and weakness of the abdominal muscles. – Knee: stress is added to the knee when the hips or pelvis are misaligned causing the body weight to shift primarily to one side. When that happens, the added weight can cause strain on the medial (inside) knee and cause pain. Here at Pro Chiropractic, we have state of the art technology to help screen your posture and point out any abnormal areas. 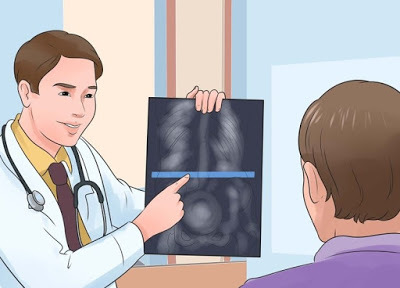 This tool helps the doctor determine where you may be out of alignment and give us clues on how to fix it from the ground up. The posture screen shows misalignments at the ankles, hips, ribcage, shoulders, and head when viewing from the front. It will also analyze when viewing your profile. 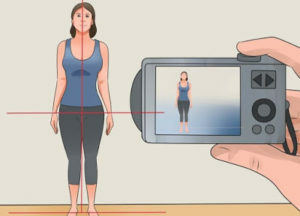 It will tell us how far you may be bearing your weight forward or backward which can cause excess pressure on the different regions of the body. – Stretch: after a brisk warm-up, make sure you thoroughly stretch the quads, hamstrings and glutes to make sure your muscles are on an even playing field before you start your work out. If you don’t stretch properly, you can cause overcompensation issues during your workout that may lead to hip misalignment. – Posture: try to be conscious of your posture. If you notice you’re slouching, activate your core and sit up straighter. This will help realign your entire body…as well as your hips. 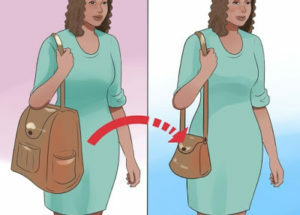 – Heavy bags: wearing a heavy shoulder bag on one side can lead to body shifts which can throw off your hips and pelvis. Switch to a double strap backpack or downsize your bag and the contents. – Footwear: not wearing the right shoes or not having enough support for your feet will definitely lead to hip misalignment, especially if you have a leg length issue. See your chiropractor about getting a custom fit orthotic to help keep everything aligned. – Chiropractic care: receiving consistent chiropractic care will set you on a path to correcting your misalignment for the long term…not just hip misalignments, but full spine misalignments. Chiropractic care is relatively painless and inexpensive (compared to chronic care with a medical doctor). Call today to find out for yourself!